Nurturing the commercial and construction needs of customers, Hansika Polymers is existing in the market since 2007. We are immersed in the manufacturing, wholesaling, trading, exporting and importing of Unipaver Mould, Rubber Mould, Paver Moulds, Tile Moulds, PVC Mould and many more. These products are best in quality and durable in nature. 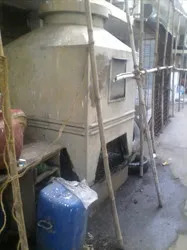 Engineers of our firm, frame these moulds with the use of best material that remains same with high load and more temperature. Showing longer life working, these products are quality checked by the professionals to meet perfect molding of all tiles and bricks. Besides this, these products are easily available in the market in many sizes and shapes. With the team of professionals, we are keenly engaged in the obtainment of all moulds. Superior in performance, these products are made under the guidance of our professionals who hold expertise in the relevant work. In addition to this, these products are finely tested by skilled experts our firm. Engineers make these products by following global standards and using the high-quality raw material. We have large storage capacity at our firm to offer these products quickly to meet a demand of the patrons. By showing lenient behavior and offering best quality embedded products to the customers, we have attained many of precious clients for our firm. We manufacture our products under the brand name of Hansika. Under the guidance of our mentor Mr. Bhawarlal B. Jain, we have been able to offer our products in numerous patterns and make longer term relationship with precious clients. 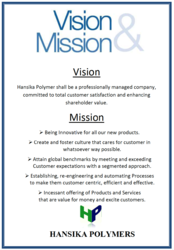 Hansika Polymers shall be a professionally managed company, committed to total customer satisfaction and enhancing shareholder value. Being Innovative for all our new products. Create and foster a culture that cares for a customer in whatsoever way possible. Attain global benchmarks by meeting and exceeding Customer expectations with a segmented approach. Establishing, engineering and automating Processes to make them customer-centric, efficient and effective. The incessant offering of Products and Services that are value for money and excite customers. 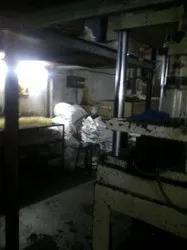 Hansika Polymers is Mumbai; Maharashtra-based firm and indulged in the business of moulds. We are completely dedicated to our work and try hard to accomplish the needs of the customers in the best way. We are able to fulfill the demand of the patrons in quick timing. Experts of our firm show lenient behavior to the clients and build a long-term relationship with them. 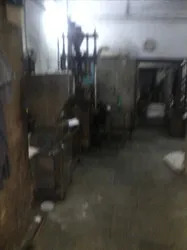 With our motto of attaining complete customer satisfaction, we strive hard to meet all the demands of the customers regarding the fabrication of superior quality Moulds and Tiles. Our prime motto is to serve quality products to our clients and owing to the same, various stringent quality tests are conducted under the supervision of our quality control executives. For further assurance of the quality of the PVC Moulds, the tests are conducted from the initial stages of procurement of raw materials to the final stage of launch of products in the market.